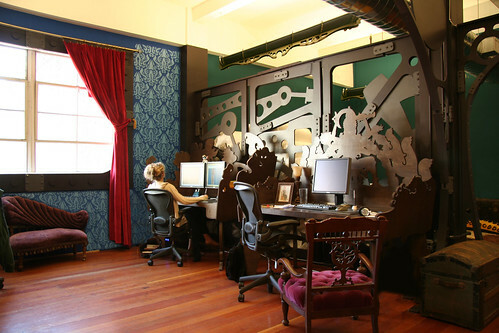 Because We Can is a design firm in West Oakland that makes really cool furniture! They had a little room to showcase their stuff at IDEO, and I got to play with their cool LED light coffee tables. 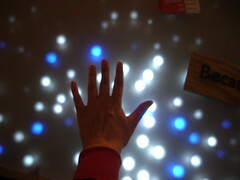 You wave your hand over it and it triggers the lights where it detects movement. 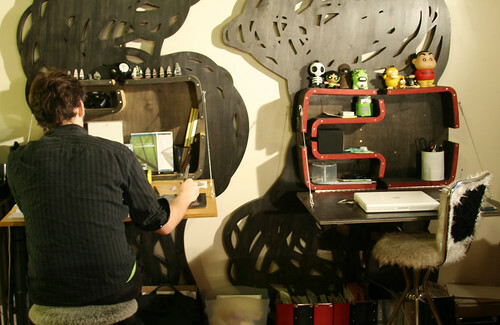 They also make really neat stuff carved with a CNC routing machine. They make incredible furniture, and they’re also super nice people. + The Because We Can blog! + Because We Can flickr stream. 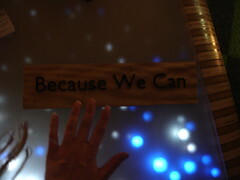 + Excellent interview video with Because We Can on Brainchild, my friend Matt’s internet show about people with ideas. Thanks for the link! I’m so jealous you got to go to that IDEO talk.